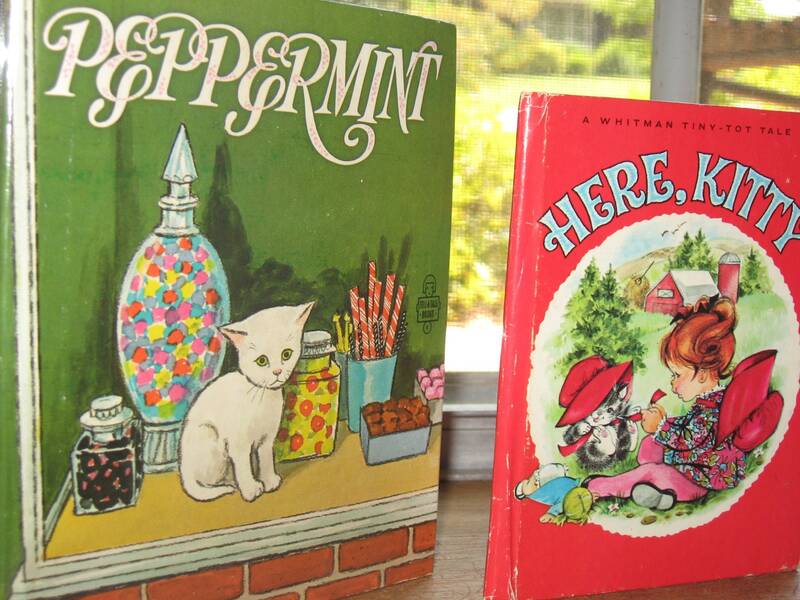 One thing that I love collecting is vintage children's books and over the past year my collection has grown. 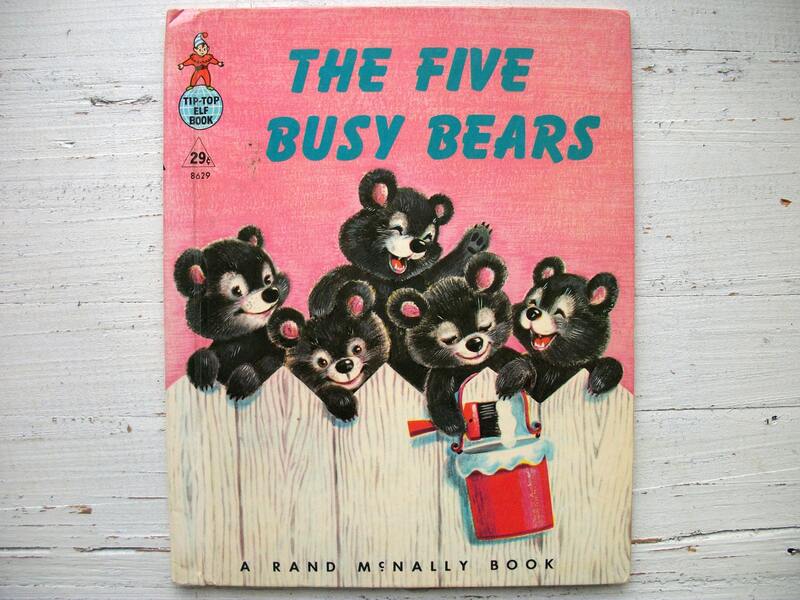 It's seems every time I'm on etsy, I can't help but search for children's books. 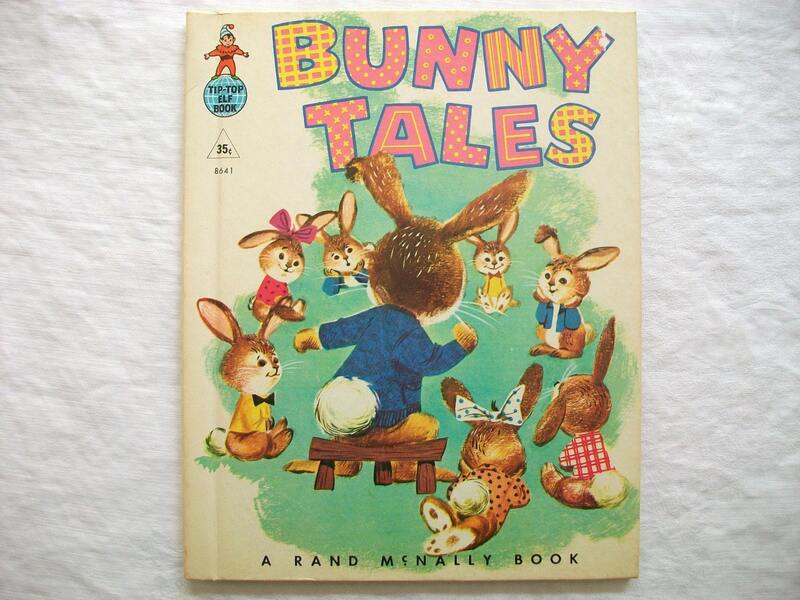 So I did some virtual window shopping and found some cute vintage books below. 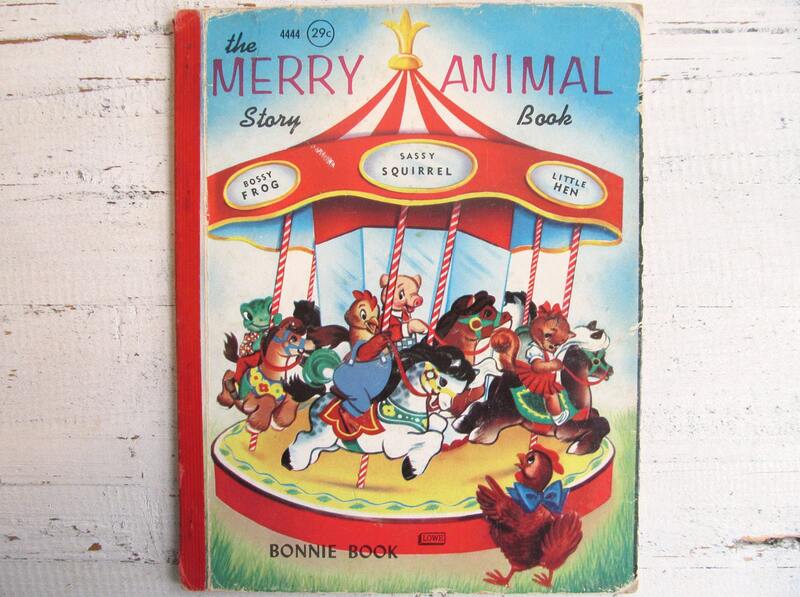 If you want to see some of my vintage books then you can click the following links. The old books can't be beat. The sweet pictures and memories. Thanks for the walk down memory lane. I've kept all (most) of my books from my childhood. One of my favorites was Mushroom in the Rain by Mirra Ginsburg. We borrowed this book from the library time and time again. Thanks for sharing. btw, could you send me a new button? i adjusted the size of my sponsors' buttons. :) i would need a 180 by 70 width. if you could send me a direct link, that would be great. thanks! 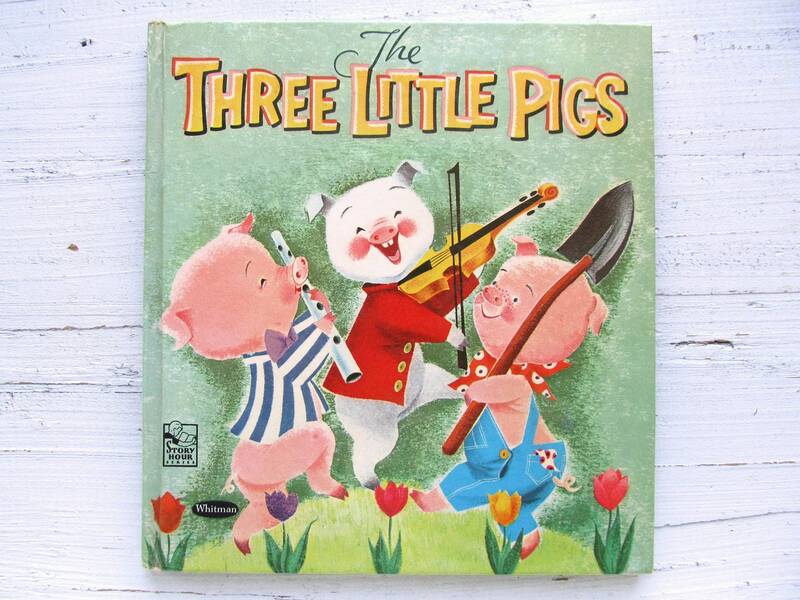 I used to read the same "Three Little Pigs" at my grandmother's house. Thanks for the memories!